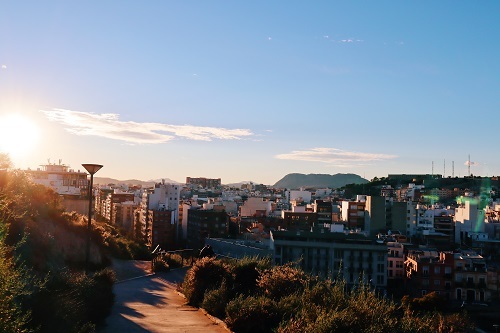 Deciding to study abroad for a full semester, I knew that it would entail going out of my comfort zone and having new experiences I never thought I could handle. Leaving home was different from what I had experienced in the past three years of leaving for college. When leaving for South Carolina, there was always the option to drive 4.5 hours south if I was ever feeling homesick. Obviously, being 4,000+ miles and an ocean away is a little different. 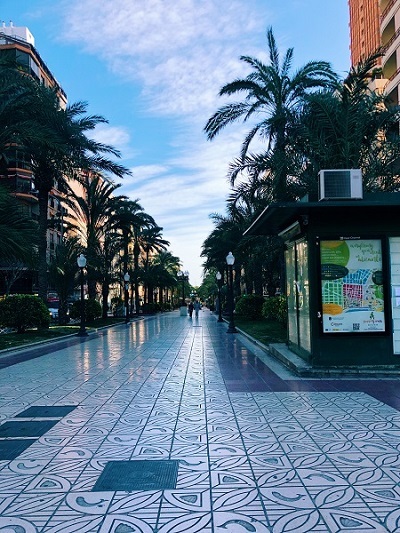 The first big hurdle in this experience was traveling from Jacksonville, Florida to Alicante, Spain, all on my own. Before my departure to Spain, the only international travel I had experienced was with my family or faculty from my university by my side. The nerves I felt were overpowered by the excitement for the journey ahead. Leaving the Jacksonville airport felt familiar, but the reality of my journey began right as I landed in Miami. Navigating large airports like Miami and Madrid wasn’t impossible, but successfully finding my terminal or figuring out which sky train to catch proved difficult when not giving full attention to my surroundings. Getting to the international area of the airport included two sky trains, multiple escalators, and a little bit of panic. Some examples of the mistakes I made included being overambitious with the number of books I included in my backpack (no one needs three Virginia Woolf novels and a 40 lb. backpack to lug through the airport) and not holding on to my four-wheeled carry-on when the sky train departed (it rolled down the cabin and hit a grumpy businessman). 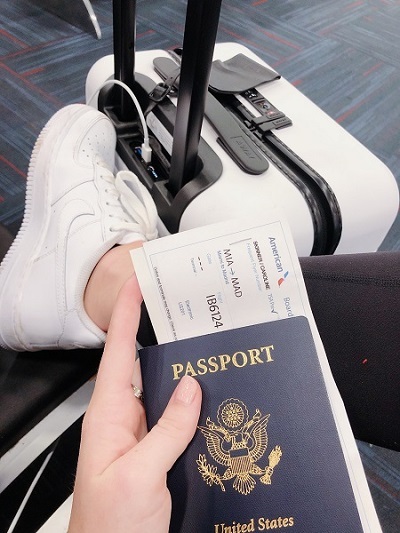 Also, while you should always keep your passport in a safe place that only you can access, pulling it out before boarding to avoid holding up a whole line of anxious travelers is always a good idea. Landing in Madrid after the 8.5-hour flight from Miami seemed surreal, especially when trying to navigate the airport based on my intermediate knowledge of Spanish. I admit that I put more stress on this situation than I had to, since I had convinced myself that customs 2would take hours and I was going to miss my connecting flight to Alicante. After jogging through the airport, I stumbled upon virtually no customs line. When I arrived at my gate and met my future roommate, I finally felt at ease. One note when traveling on a Spanish airline: there's no boarding-time announcement for our small plane; we just had to walk to the gate at the right time and find our way. I have never experienced a view like the one of Costa Blanca from the airplane, and that exact moment was when my anxiety switched to excitement. Gusts of Mediterranean wind hit right as we stepped off the airplane and headed to baggage claim. Our CEA onsite specialist, Adriana, greeted the other girls on my flight and me with a friendly hug and welcoming nature. I was very thankful to have her there to call our taxis to the University of Alicante, where we would be staying for the night. I didn’t do anything in particular to prepare for my first time traveling abroad on my own besides pack my suitcases and hope for the best. 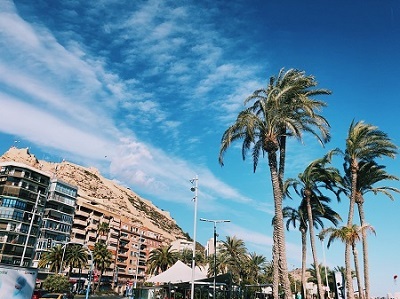 I am now finally settled into my apartment in the heart of Alicante, but I have yet to experience the moment in which I fully accept that I'm studying on the Mediterranean coast for the next four months -- as it still feels like I’m on vacation. 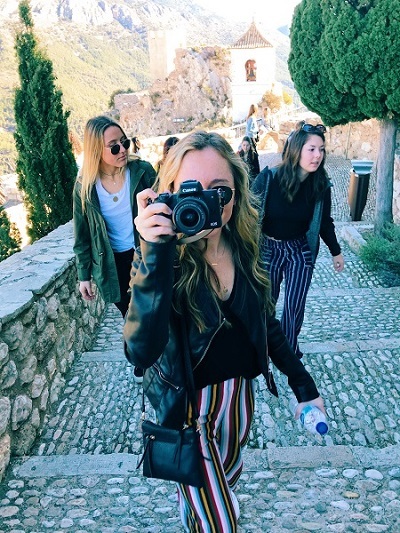 Caroline Skinner is the Spring 2019 CEA MOJO Blogger in Alicante, Spain, and is currently studying at University of South Carolina Columbia.